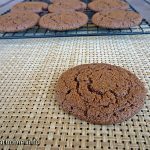 A delicious way to use up extra egg yolks – these Paleo-friendly chocolate egg yolk cookies will leave you wanting more! It’s the age-old baking question. What do you do with leftover egg yolks? Or egg whites? Egg whites aren’t usually a problem to use up in our house – simply make Grant’s all-time favorite chocolate crackle cookies. End of story. Or make an omelette with just the egg whites – although in most cases, these turn out to be scrambled eggs for me! But when you make something like an Angel Food Cake, or a pavlova (Henry’s specialty with Poppa), what do you do with the leftover egg yolks? Previously I’ve made a cream pie to put into a (usually) chocolate peanut butter cream pie. But this time I wanted to do something else. And something a little bit healthier. Enter these egg yolk cookies. I had previously attempted to make some gluten-free cinnamon buns (my nemesis), which called for 6 egg whites. And hence I was left with 6 egg yolks. So I did some searching on the net and found so many options for using egg yolks in custards, or carbonara sauces, but none really took my fancy. And then I saw the magic word … cookies. Now this recipe originally comes from food.com but I adapted it quite significantly, because that’s what I do! The original recipe uses ‘normal’ ingredients, such as all purpose flour, sugar, butter, etc, so I made it into a Paleo-friendly recipe to suit my ever-growing list of dietary restrictions. And I loved it. Using ghee instead of butter gives these cookies a seriously unique taste. I’ve tried it with coconut oil and it just didn’t work as well. I realize that a cup of ghee is quite a lot, but if you don’t have 6 egg yolks, you can always halve the recipe and only use 1/2 cup of ghee. Either way, give these chocolate egg yolk cookies a go and let me know what you think in the comments below! Preheat oven at 350F and prepare two baking trays with parchment paper. Cream ghee and maple syrup together until well combined. Beat egg yolks separately and add vanilla extract. Add to the ghee and maple syrup mixture and combine well. In a separate bowl, combine the dry ingredients together (both flours, cocoa, baking soda, cream of tartar). Add dry ingredients to the wet mixture and combine well. 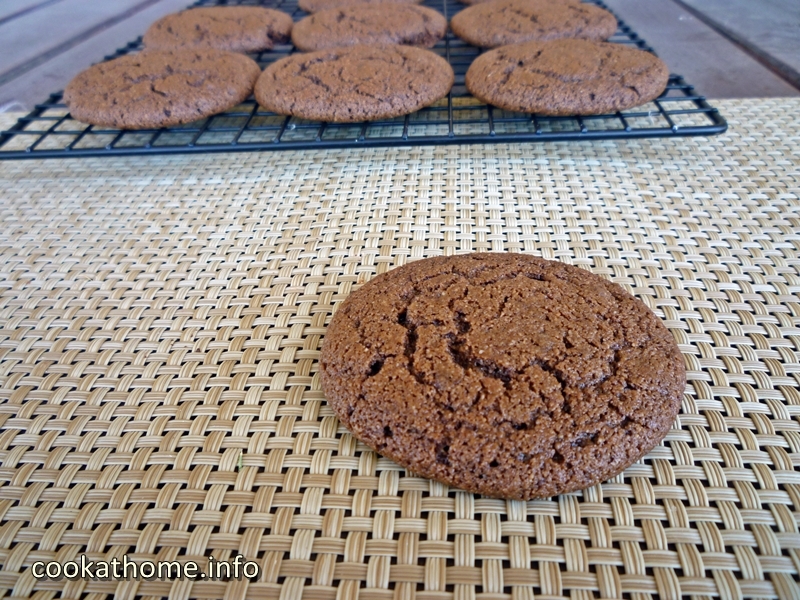 Drop by table-spoonfuls onto the prepared baking trays, allowing room for the cookies to spread. Bake for 8-10 minutes, until the desired level of crispiness has been reached. Allow to cool before moving to cooling racks.